A safari extension that queues up URLs for later reading. An alternative to cluttering up bookmarks with URLs that are of temporary interest or opening a collection of tabs. 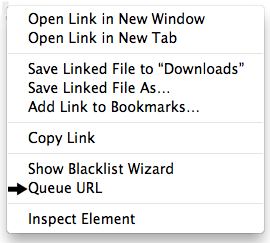 Right-click on a link and select 'Queue URL'. Then click on the tool bar to open the next link in the queue.